Geberit Duofix Delta 112cm Concealed Cistern with Delta Flush PlateFrom £115.42 inc.VATRRP: £183.19 (Save 37%)Concealed cistern for floor-standing toilets, complete pack with a choice of 2 flush plate designs in chrome. 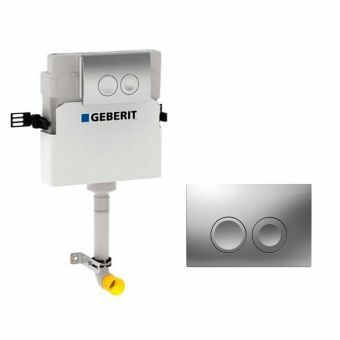 Geberit Kappa50 Dual Flush PlateFrom £110.10 inc.VATRRP: £146.80 (Save 25%)Choose from 4 colours, for use with Kappa cisterns by Geberit. 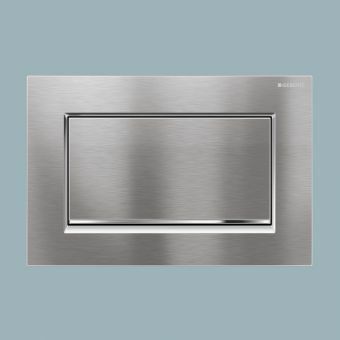 Free DeliveryGeberit Omega70 Remote Flush PlateFrom £320.10 inc.VATRRP: £426.79 (Save 25%)Beautiful solid glass plate. Colours available: Black, Umber, White or Steel. Use with Omega cisterns only. 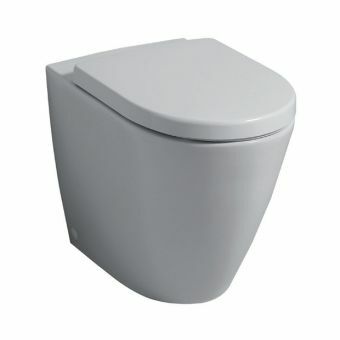 Free DeliveryGeberit iCon Square Back-to-wall Rimfree ToiletFrom £300.96 inc.VATRRP: £401.28 (Save 25%)Contemporary minimal square styling, rimless design with seat options. 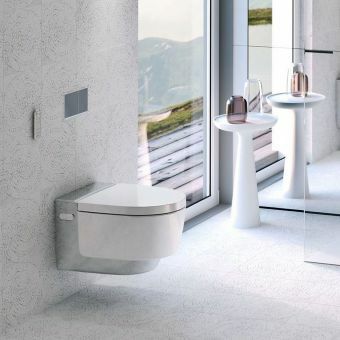 Geberit are leading the way in modern WC solutions, creating new and innovative ways to ensure the aesthetic of a bathroom is not compromised using concealed toilet systems, cisterns and flush operations. 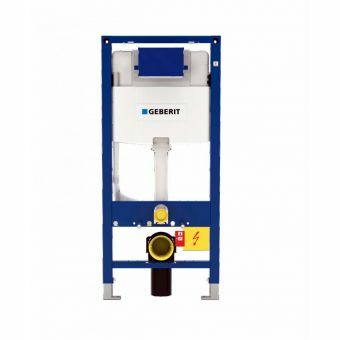 All of their products have been manufactured to the highest of qualities and rigorously tested in order to ensure that they meet Geberit’s high standards. 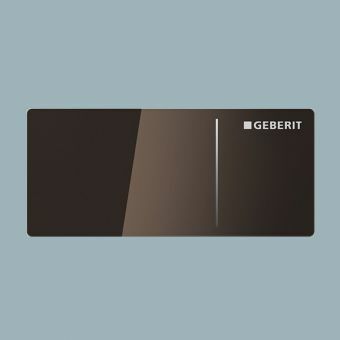 An overriding sense of contemporary aesthetics and the ultimate in cleanliness technology means that Geberit is the ideal designer for any stylish bathroom space. 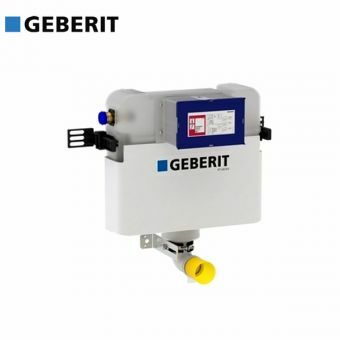 Geberit have pioneered numerous improvements to concealed toilets, cisterns and flush operations. 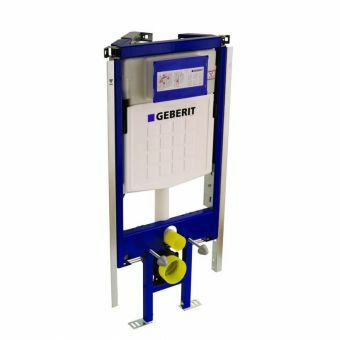 Manufactured and tested to the most rigorous of standards, Geberit components offer a solid basis around which to create a modern, streamlined space that projects a strong sense of cleanliness. 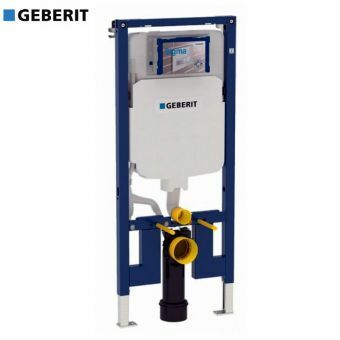 Support frames and cisterns for wall mounted WCs are available from Geberit, ensuring functionality does not have to come at the price of design, while in the public restroom space, a series of urinal flush plates and components are available, helping create a gent’s washroom with a clean and professional edge. There are a number of different ranges available from Geberit, all designed to complement the different elements available. The iCon range, for example, comes with a selection of either rounded or square finishes, and epitomises understated, modern style. With wall hung, back to wall and close couple options, along with matching bidets, there will be something to suit every bathroom, and the range would have no problem complimenting any contemporary suite. 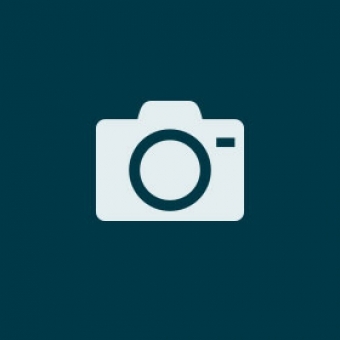 The Smyle range has been designed with stylish functionality in mind. 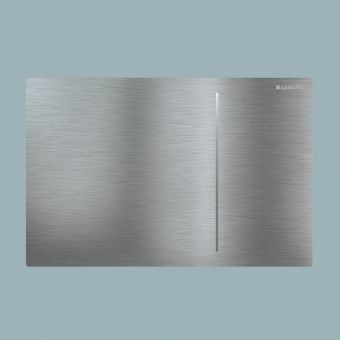 Its timeless designs and streamlined lines make it perfect for any sized bathroom space, and is available in close coupled, wall hung or back to wall designs. 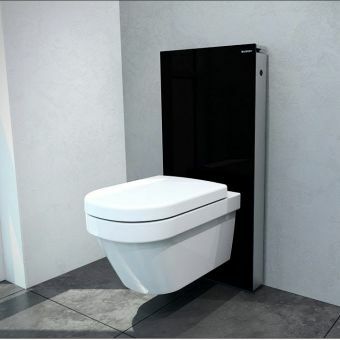 For the ultimate in modern styling, look no further than the range of monoliths available from Geberit. 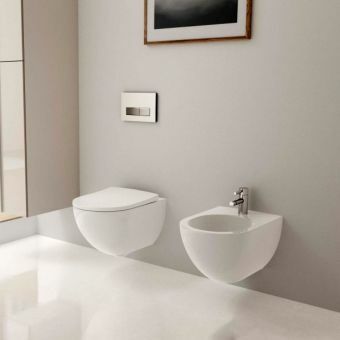 Designed to complement any wall mounted toilet or bidet, the glass fronted cistern and frame provides a stylish way of avoiding having to re-tile or re-plumb the bathroom in order to install the toilet. The award-winning Monolith Plus also comes with integrated odour extraction and a sensor controlled back light, truly promoting technological advances without compromising on style. 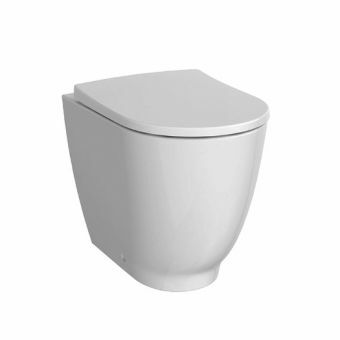 A wall hung toilet epitomises style and character in a bathroom. With its clean lines and timeless styling, it is a true asset to any bathroom design. 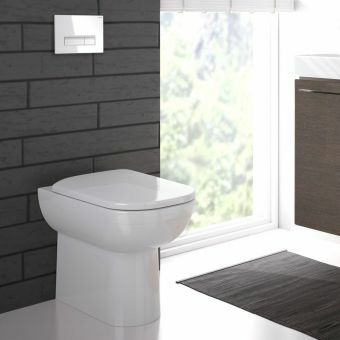 Wall hung WCs are hung on a concealed frame, meaning that your tiles can be fitted right up to the wall, and a concealed cistern ensures that the room feels spacious, and also makes it easier to clean. 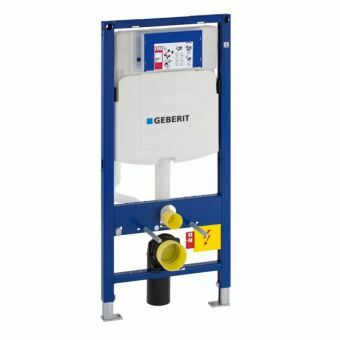 There are a number of different kinds of wall hung WCs available from Geberit. 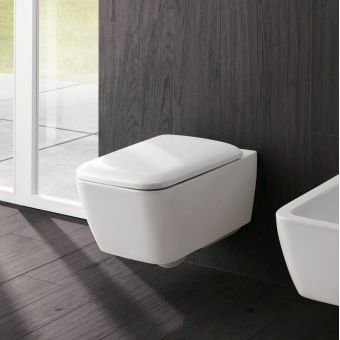 The ultra-modern square design of the Geberit Icon Square Rimfree Wall-Hung Toilet, for example, would fit in with any contemporary design, while the timeless design of the Geberit Smyle Wall Hung Toilet means it compliments any bathroom design. Concealed toilet cisterns and frames are the behind-the-scenes parts of our wall hung and back to wall toilets. They provide the plumbing and support without affecting the aesthetics of your bathroom. 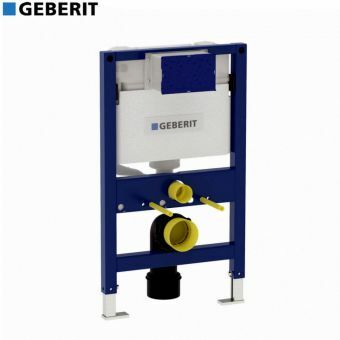 Geberit’s range of concealed frames and cisterns, include Omega and Monolith. 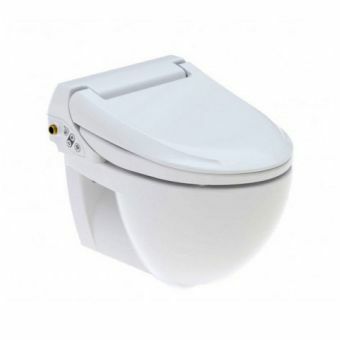 Our concealed toilet frames are adjustable, meaning that you can choose the height of your toilet, and there are a number of different options for single or dual flush, and the flush plate design. We pride ourselves on our quality, reliable plumbing, and our concealed toilet cisterns and frames are designed with that in mind. Back to Wall WCs have robust, clean lines that would look as good in a modern bathroom as they would in a more traditional room, maximising space without compromising style. 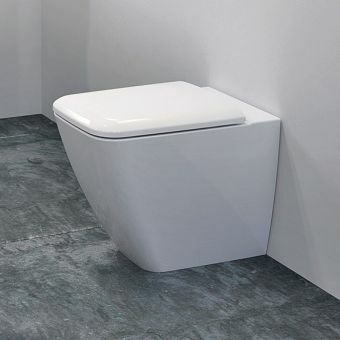 A back to wall toilet needs to be fitted with a hidden cistern – this means your bathroom stays feeling spacious and open. 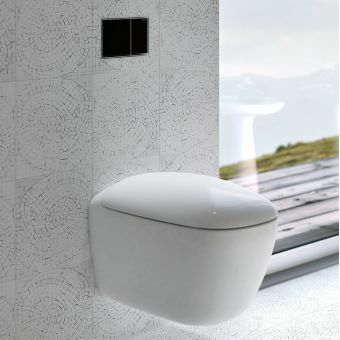 Geberit’s line of back to wall toilets include a range of different styles and designs. 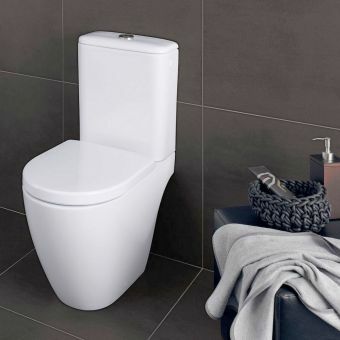 The Geberit Citterio Rimfree Back to Wall Toilet is a masterclass in minimalist design, with its understated lines and functional design, this back to wall WC is also eco-friendly, designed with full and half flush options. 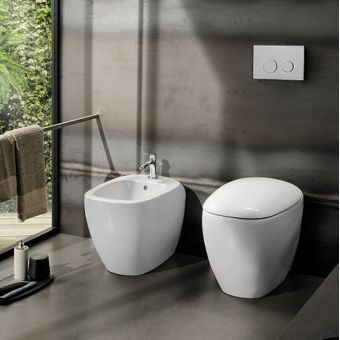 The Geberit Acanto Raised Back to Wall Toilet has a sleek and chic design, while its raised height makes it perfect for taller users. Close coupled toilets are popular as they save space – the cistern and the pan are ‘closely coupled’ together, meaning they take up less room than a traditional toilet unit. Their timeless appearance and compact nature means they are universally suited to all different styles of bathroom. 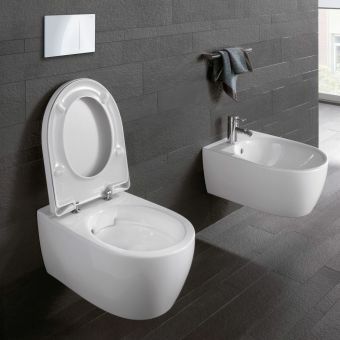 The Geberit range of close coupled WCs include the stylish Geberit Icon Square Close Coupled Rimfree Toilet, which promotes high-quality workmanship with high-quality materials. 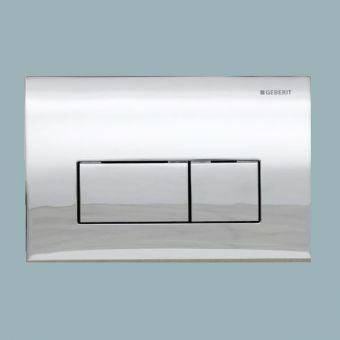 Offered with a dual flush cistern, its discreet appearance blends in well with most bathrooms. 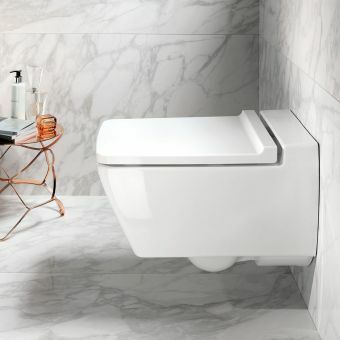 The Geberit Smyle Close Coupled Toilet creates an aesthetically pleasing addition to any bathroom, whilst its hygiene credentials include a washdown function and a rimfree design, making it easy to keep clean. Shower toilets are revolutionising toilets across the world. With their discreet designs, they fit in with any bathroom design, while their state of the art technology keeps them at the forefront of deluxe toilet comfort. The Geberit range of shower toilets includes the Geberit Aquaclean 4000 – an easy to install toilet seat that gives your toilet a quick makeover, providing adjustable water spray strength and an ergonomically designed seat. 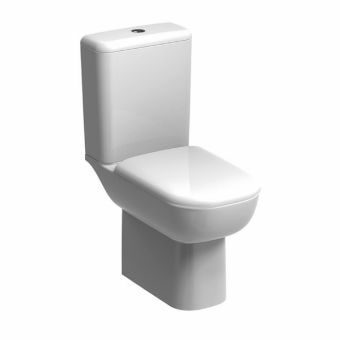 The Geberit Aquaclean 4000 is available to fit your existing toilet, or to buy with a matching pan. If you’re after top of the range toilet technology, our Geberit Aquaclean Mera Comfort Shower Toilet provides an all in one solution for anyone needing this type of toilet. A warm water, oscillating spray is coupled with a heated seat and warm air drying after use, whilst at night, the bottom of the toilet unit comes with a soft light so there is no need for the bathroom light. 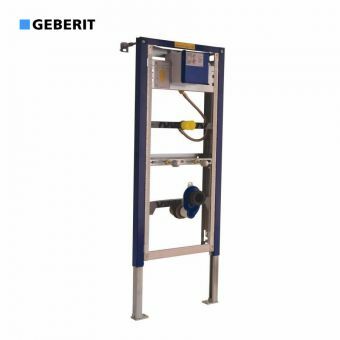 There is a remote control for all major functions, and an automatic opening and closing lid is activated on approach by sophisticated detectors. Bidets can be an important element to any bathroom suite. 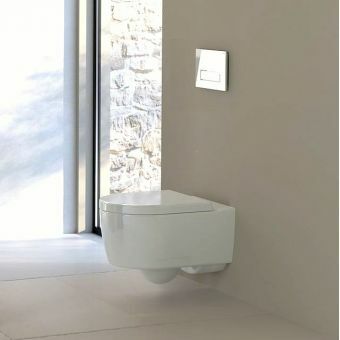 An expected feature in most bathrooms across the continent, bidets provide an elegant touch to any washroom. 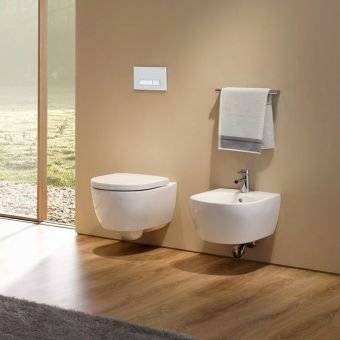 The range of bidets from Geberit includes the Geberit Acanto Floor-Standing Bidet, which fits neatly into most spaces. 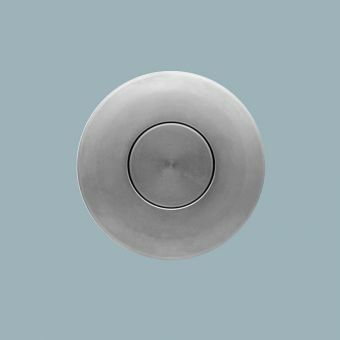 Its sleek, vase shaped design means it has a timeless elegance, whilst its back to wall fitting means that it will simply blend in with the aesthetic of your bathroom. The Geberit Citterio Wall Hung Bidet has an organically flowing style that will add a classical touch to any bathroom, whilst its wall hung design adds a contemporary touch. 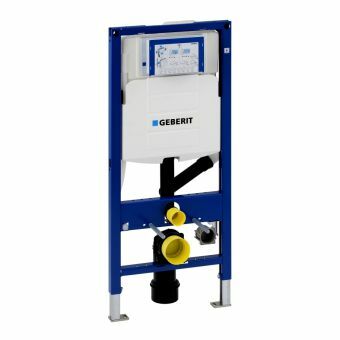 Geberit also offer the Geberit Duofix Bidet Frame, which includes everything you’ll need to install a wall hung bidet. Urinal systems meet the reliability and economic efficiency requirements of a high user frequency facility, as well as being an expected part of any stylish male washroom. The Geberit range of installation accessories helps make sure that efficiency does not have to come at the price of style. The DuoFix Adjustable Frame, for example, has a solid and robust design that has been built to last, with its adjustable, galvanised legs and a rust-resistant powder coating. 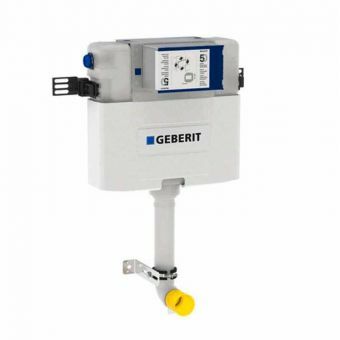 The Geberit Sigma50 Hytronic Infra-Red Urinal Control makes it easy to analyse usage patterns and carry out the right configuration for things like flush interval and flush duration – and with no waiting to see the benefits, as the system starts work as soon as it is installed. 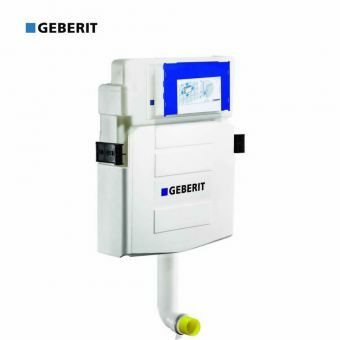 To find out more about the range of bidet installation accessories offered by Geberit, why not give us a call? Our contact details are at the bottom of the page, and our helpful team are waiting to answer any questions you might have. Geberit truly are at the forefront of combining modern aesthetic with top of the range technology. 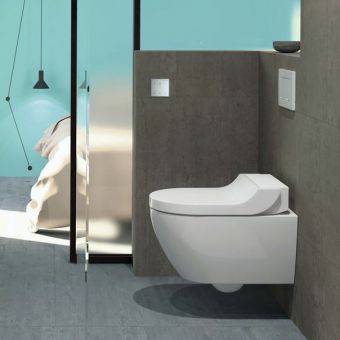 From the wall hung toilet, which provides reliable functionality without compromising on aesthetics, to the shower toilet range, with its futuristic technology, to the modern stylings of their wall hung and floor standing bidet ranges, there is something for anyone looking for a beautiful yet functional bathroom suite. With so many styles and options, creating your ideal bathroom has never been easier, and by choosing Geberit you can be safe in the knowledge that uncompromising style and design is coupled with high-quality engineering you can rely on.